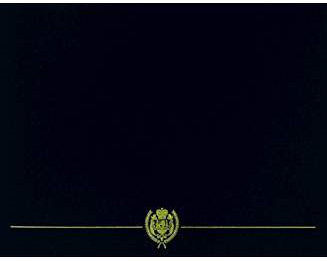 This Display Recognition is available ONLY to personnel who have already received their award and possess orders, or authorization form, or release documentation as confirmation. (See "Issue Requirements", below). If you do not possess the required documentation you may not apply for this display recognition. There are no exceptions. 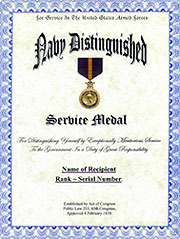 An unaltered photocopy of your DD-214, OR WD AGO 53-55, OR other military issued document clearly displaying your Navy Distinguished Service Medal. Contact The War Library if you do not have a DD-214 or or WD AGO 53-55: 1-562-422-4100 (Pacific Time Zone).